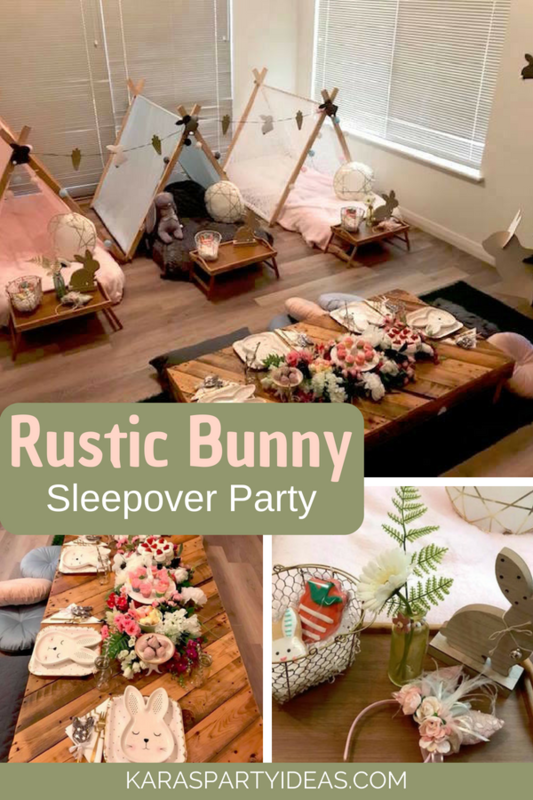 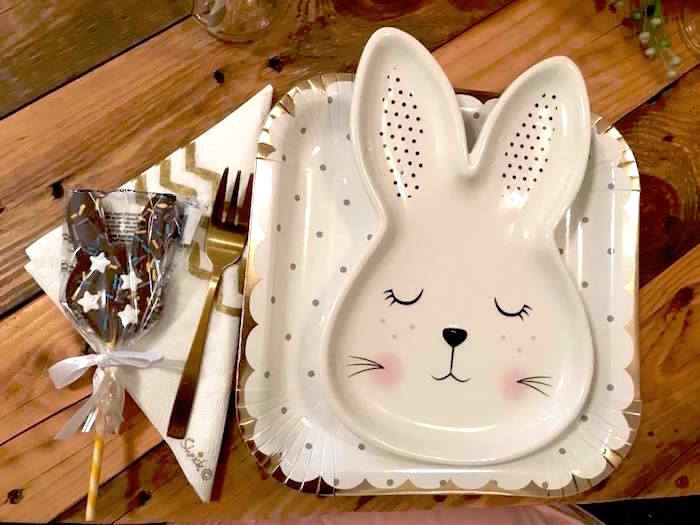 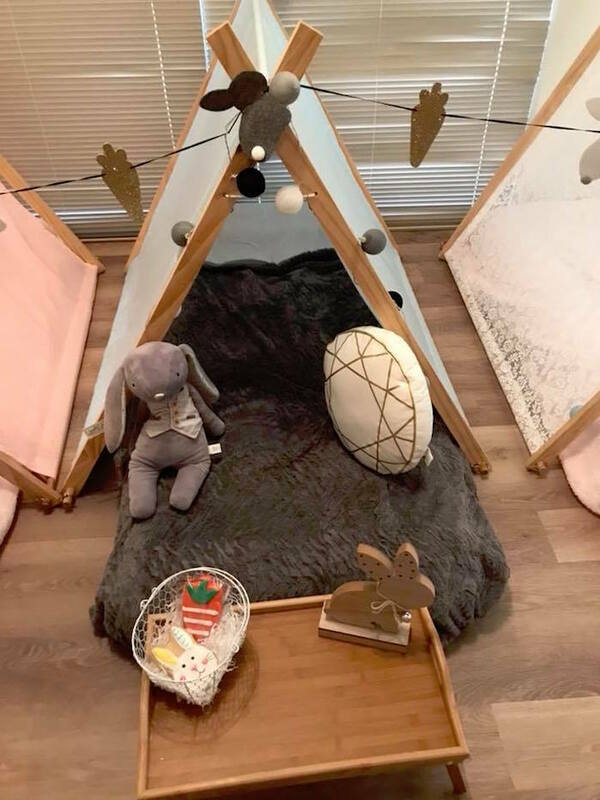 Looking for a party, sure to have you hopping, this Rustic Bunny Sleepover Party is sure to make your ears flop! 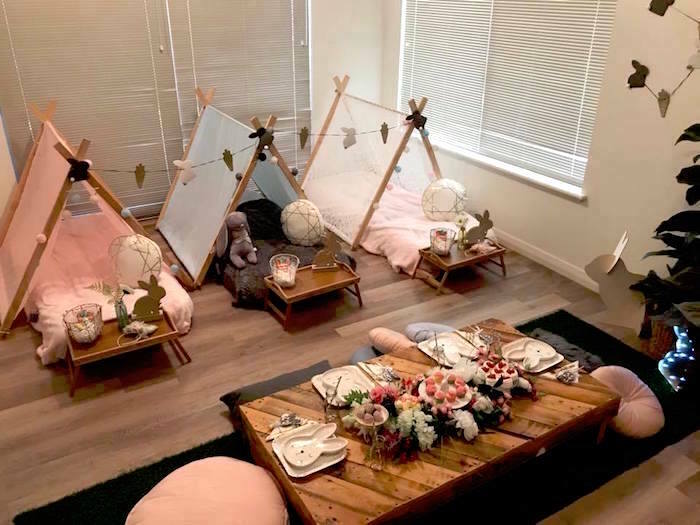 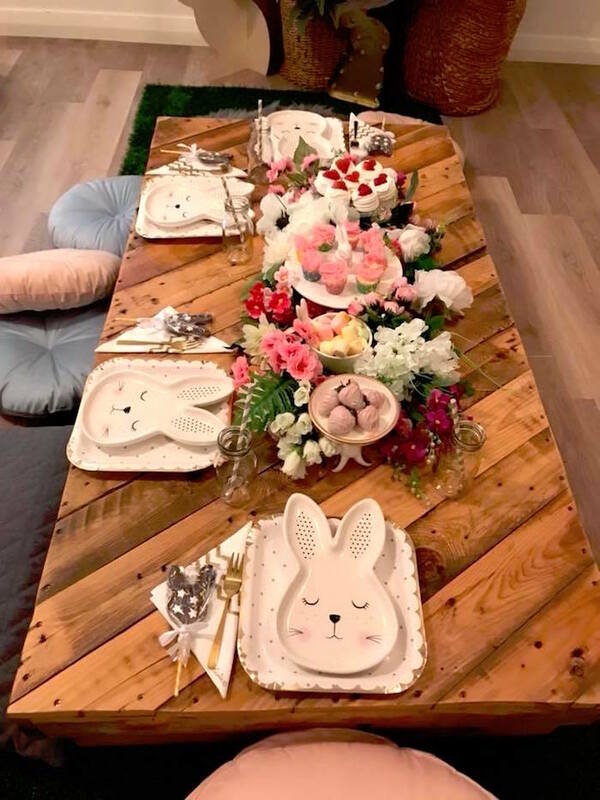 Filled with elements rustic and fine, this sweet event by Tracy Ryan of Kidz Party Shack, out of Perth, Western Australia, is positively divine! 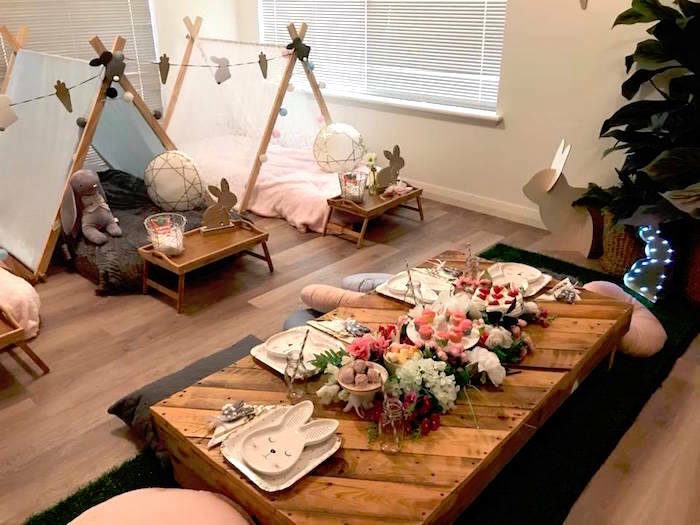 Tracy’s party snippet- “Priceless were the giggles and laughter as the children found their surprise on Easter Sunday morning. 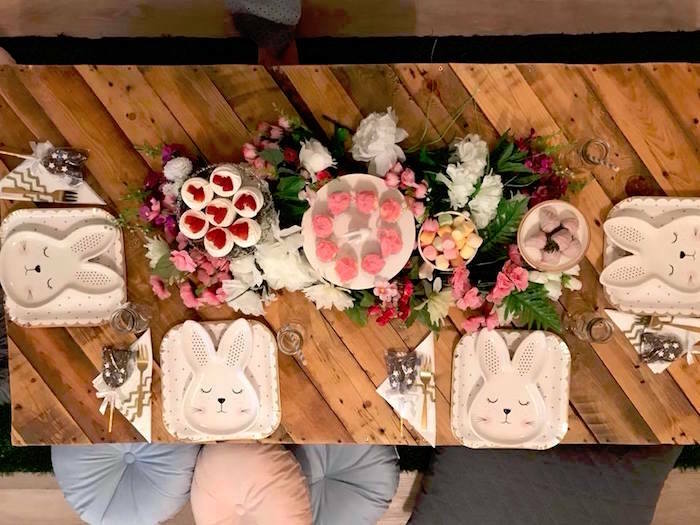 Our three children and their friend celebrated together with sweet treats and watched Hop the movie. 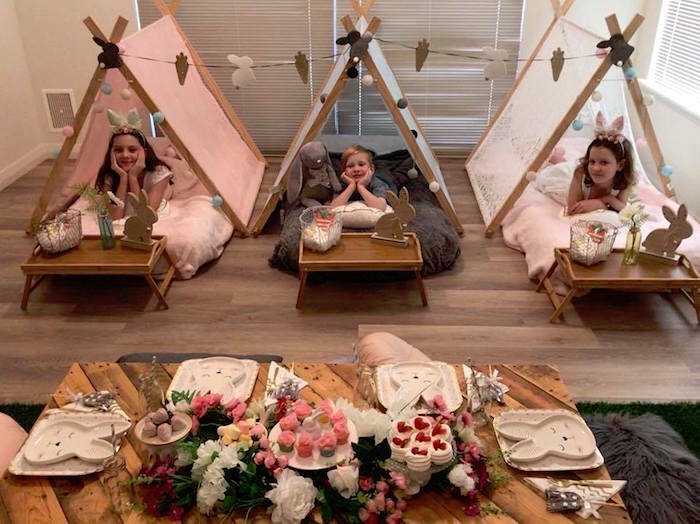 I wanted to create a special Easter wonderland for my three children. 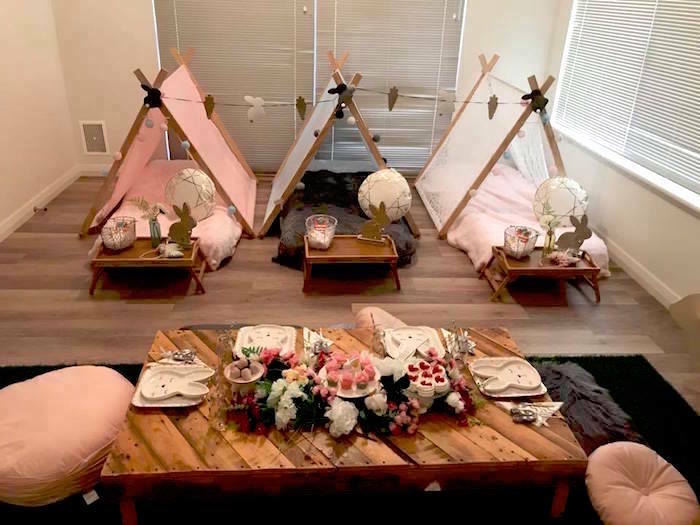 I used our custom made teepees, bed, sheets and fairy light to decorate. 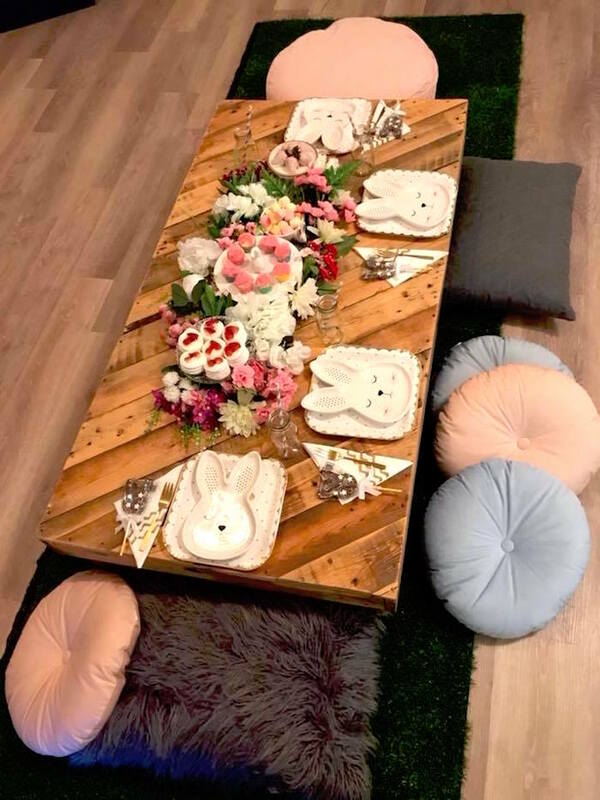 I went to Kmart for the Easter themed decorations to finish off the finer details. 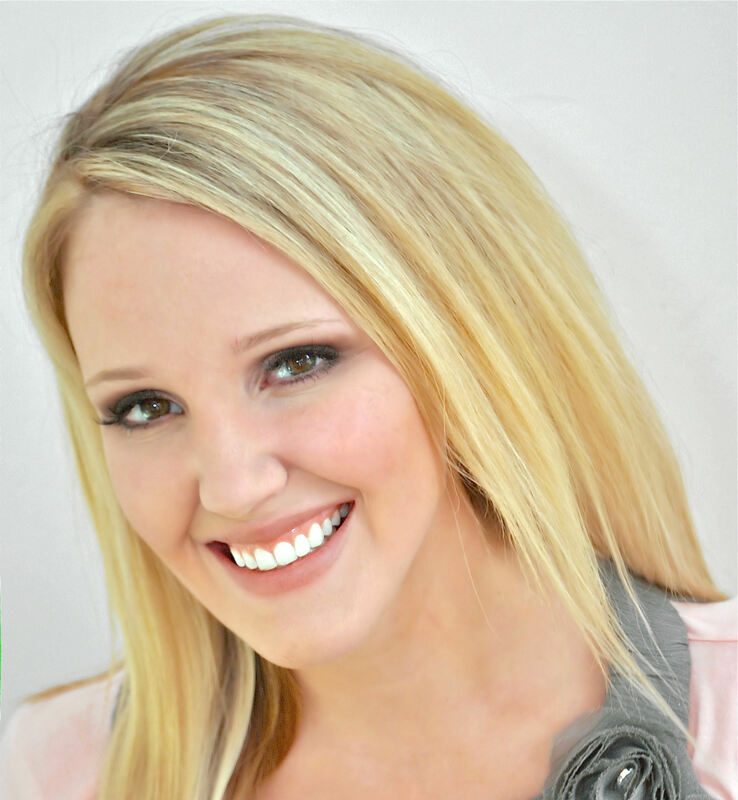 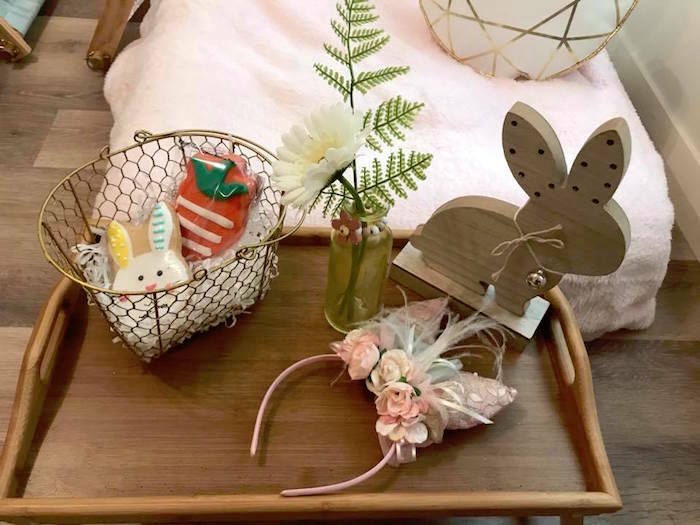 I had the bunny headbands made with Arabella’s Vintage wardrobe. 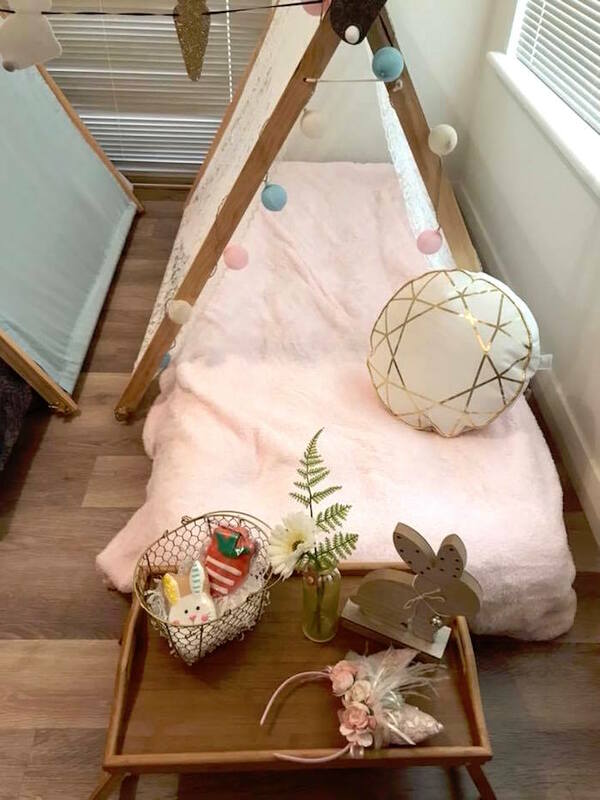 See a collection of bunny party ideas here and some sleepover party ideas here!